Two or more years on my quest for happiness, I realized that I couldnt be happier if all I saw were the negativity around me. So I decided to commit to thinking positive. To staying positive, I read somewhere to be grateful for all things, big or small. Hence my idea of starting my Gratitude Project. It meant to document daily all things I would be grateful for. I was looking for an online tool where to document it. I was thinking of starting a separate blog just for that. Until working on the idea vanished in thin air. This year I read from a friend’s blog about Gratitude365. Its one of those applications where you can document your gratefulness everyday. Its exclusive for iApple gadgets, though. I searched for a similar app for android. Found one but never write daily. Now that J gave me his ipad (i think!!! ), I decided to purchase the Gratitude365 app. 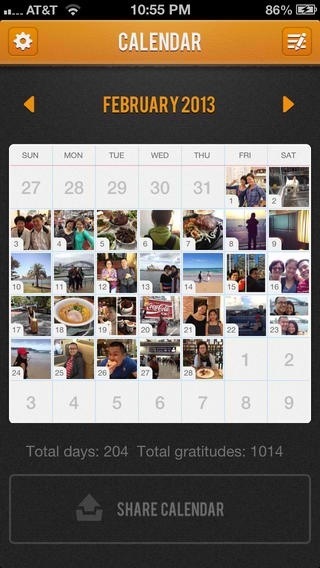 I like this app because it can summarize thru photos in a calendar format your entries for a month. It just feels good looking at it. 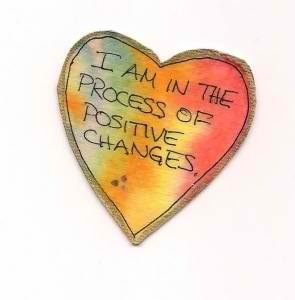 I am just on my 3rd day but I am committing to doing this for the next 363 days and beyond. I recently heard of one family ‘news’ about one relative’s moving on, or should I say, moving on too soon (as some say), after the death of his spouse. Plus my father’s 5th death anniversary was recently commemorated so I decided to write a piece of my mind on the said subject. Fact # 1: It hurts to lose someone. Period. Regardless if he’s an old friend, a close cousin, a parent, a sister, a son or a wife. The intensity of pain and grief is subjective. It cannot be measured by how many buckets of tears you shed or how loud you wailed or cried. It might depend on your relationship with the deceased: length of time you two were together, how deep your love was even though the time spent together was short. Or even more, the lack of time together before his passing. Bottomline is, you will feel the pain of your loss. Fact # 2: You will ALWAYS and CONTINUE to love your departed long after they are gone. Death doesn’t put an end to love. We dont stop loving our loved one because he passes away. Neither do we forget. We just learn to live peacefully with the fact that the person is gone and we only have memories to cherish. Fact # 3: No one can ever replace our departed. And I believe us, the ones left behind, even try. We might meet another partner or feel the mother/father influence and care in someone but it doesnt mean we are replacing our departed. No one can. Because the relationship by the two of you is unique and the feelings you shared to each other cannot be replicated. Fact # 4: Each of us has our own way of coping. How we grieve and how we move on is different to each one of us. One might cry for as long as he can while the other will resume his life as if nothing has happened. One might grieve for a year or two while one can do it in a matter of weeks. However we do it or how long, we can never judge the one left behind. We dont have the right to speak about how the family is coping because we were never in their shoes. We dont know how they felt or how they are feeling or how they are hurting. Who are we to speak and impose on how they live their lives and what is the ‘right’ way of moving on. Fact # 5: The time will come that we will all move on. After the denial, grieving and acceptance comes the moving on stage. And if that time comes, lets us be glad for that person because he can finally feel happiness and find peace. Because going through that kind of pain is never easy (refer to Fact#1).